CP/IND/WAIN. Born in 1908, and a CPGB member from 1931, Bill Wainwright worked in a series of party and other political posts from the war years onwards. These included spells as secretary of the British Soviet Society and a heavy involvement in peace-related activities in the 1950s. 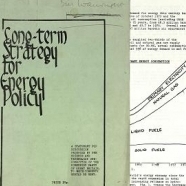 Wainwright's papers, of a somewhat miscellaneous nature, include significant materials relating to the CPGB's science and technology committee, mostly from the period 1959-1975 when Wainwright was a member of the party executive. 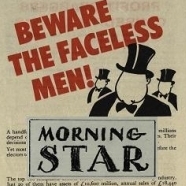 Extending into the 1980s, the papers also contain materials relating to Wainwright's dismissal as the Morning star's science correspondent at the height of the party's factional troubles in 1984-1985. CP/IND/WAIN/1/1. 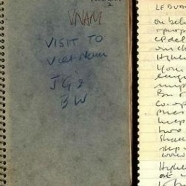 Comprises a single document, namely Wainright's diary of a visit to North Vietnam with John Gollan in 1973, during the latter part of the War. CP/IND/WAIN/1/2 to /1/7. Comprises notes, circulars, etc. 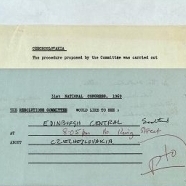 collected during six party conferences between 1956 and 1977, including one in which he chaired the Resolutions Committee. CP/IND/WAIN/1/8 to /2/3. 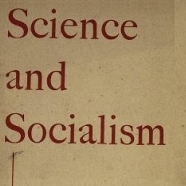 Materials relating to the CPGB's Science and Technology Sub-committee (STSC), of which Bill Wainright was a member. CP/IND/WAIN/2/4 to /3/10. Comprises thirteen files of documents relating chiefly to the period when Wainwright worked as an editor for these newspapers. CP/IND/WAIN/3/11 to /3/13. 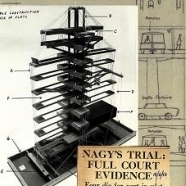 Comprises three files on planning issues, Marxism and science, and on Hungary.